The rise in the number of industries and businesses has resulted in a dramatic increase in the requirement of clear and methodical accounting services. The winner of The British Accountancy Awards in the year 2013, the DNS Accountants, since 2005, has firmly set up its feet in this genre of service and has excelled with time. We provide tax accountants, small business accountants, chartered accountants, online contractor accountants and the best IT contractor accountants throughout the country. We believe in providing the best services to our clients without them having to deal with issues of penalties or any work-related worries. IPSE accredited, the DNS Accountants expertise is in the field of contractor accounting. Holding degrees from reputed universities and accredited by professional accounting bodies, our staff has excellent credentials and tremendous experience in accounting. Our accountants are dedicated to serving satisfaction to the clients with the results. 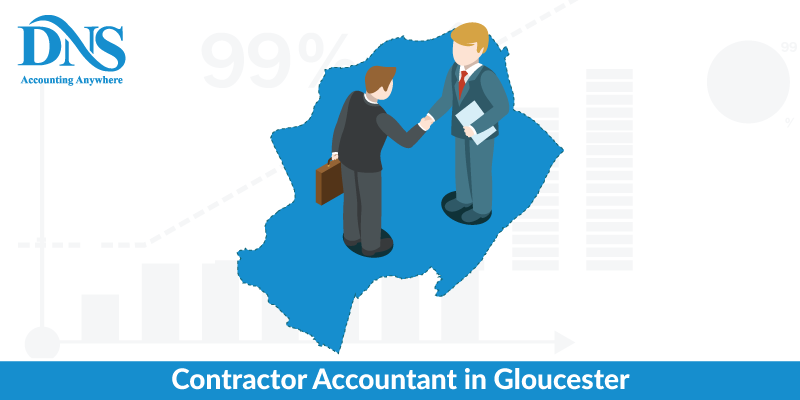 Our contractor Accountants in Gloucester have kept up to the pace with the economics of the city and have been performing superbly well. With the region making significant advances in trade and businesses, the need of accounting services of the majority of firms in Gloucester is being met by the DNS Accountants. Gloucester, a non-metropolitan city, located in the south of England, is one of the most resourceful cities with River Severn to its east and Forest of Dean to its southwest. It is also home to many churches and was claimed to be God's city with "more churches than godliness. "The schools and hospitals in Gloucester have been established long before, some even in times of Henry VIII. Earlier Gloucester was a land dedicated to an aerospace industry which amazingly progressed with the innovation of jet engine, turbojet engine, first British aircraft, etc. Now, the city has become a hub of financial and business sector with time. Many insurance and banking groups have headquarters in the city such as Ecclesiastical Insurance, Lloyds Banking Group, and TSB Bank. Gloucester also has a Business Park which is home to many other corporate firms including Fortis and Detica. The DNS tax accountants in Gloucester are very efficient and punctual with their work. Their duties comprise of collecting the entire tax-related news, reporting the acquired information to the taxation system at the federal, state and country level and suggesting recommendations on the management of tax impacts in different corporate strategies. The duties of DNS chartered accountants in Gloucester include providing accounting services and company secretarial services. The accountants also serve as consultants for the client and offer advice on business and finance decisions. They are well aware of the concepts of confidentiality and keep all the finance related information disclosed. Our small business accountants in Gloucester perform a variety of functions like managing a Payroll schedule and submitting it to HMRC, keeping track of your import taxes, sales taxes, and tax obligations, completing your company’s annual accounts and calculating gross margins. In addition to this, they are also responsible for recording the everyday transactions; grouping these transactions and bringing reconciliation with bank statements. Our small business accountants will also help you decide which method of accounting is to be used according to the nature of your business, cash method or accrual method. The DNS Accountants provide the best IT contractor accountants in Gloucester. They are specialists in their field of work and have gained immense experience while working for a broad range of clients and are very well familiar with what are your requirements. Other than the essential services such as running payroll, managing HMRC and Companies House correspondences, completing VAT and Corporation Tax return, the DNS IT contractor accountants also provide a self-assessment tax return, bookkeeping, and financial consultancies. Also, they serve solely one client at a time with their undivided attention. Professional Indemnity Insurance (PII), if explained in simpler terms can be reduced to a legal responsibility precaution measure which guards individuals or companies who provide professional services, from potential lawsuits and damage claims from unsatisfied clients who have experienced poor services. It is also called Errors and Omissions. When a client makes a claim of dissatisfactory results, he is a given a compensation which is a huge sum of money. We, at DNS Accountants, have always placed the client’s priority first and will continue to do so in future as well. Before signing the deal, we take utmost care of the level of cover you require. We insist on being familiar with your expectations before beginning the contract,to keep your preferences always in our knowledge and then draft the contracts accordingly. 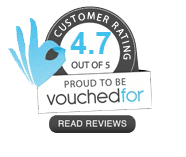 Even though DNS Accountants guarantee 100% satisfaction with our services and believe you will never require a PII while working with us, we do not prefer risking when our clients are concerned. At DNS Accountants, our covers range from £50,000 to £5,000,000 for providing Professional Indemnity Insurance. 2016’s Most Innovative Accountancy Firm, the DNS Accountants provides tax accountants, chartered accountants, small business accountants, online contractor accountants and the best IT contractor accountants in Gloucester. With our reach expanding to other major areas like Stroud, Swindon, Bristol, Fairford, Evesham, we are glad that we will be able to connect with more people, widening our network of operations and getting chances to serve more clients. We are proud to have the best set of intellectuals in the association, who are highly experienced and work driven. Considering the rate of success the DNS Accountants picked up in the previous years, we are looking forward to growing further by reaching out to more clients and providing the best of our services which will only be rewarded through their satisfaction.